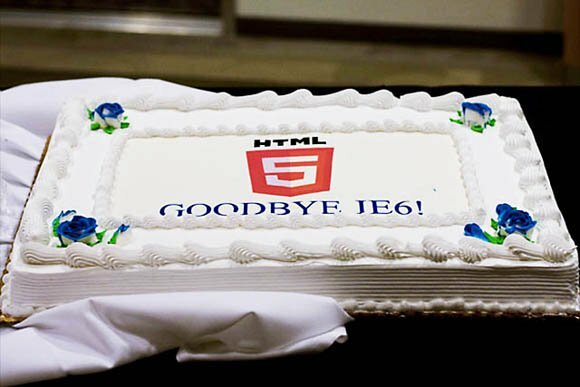 Microsoft is celebrating the news that Internet Explorer 6 (IE6) use in the US has officially dropped below one per cent of internet visits. In March, Microsoft assembled a team to push for the destruction of IE6, and have succeeded in reducing the market footprint of the browser. Currently 7.7 per cent of worldwide internet site visits use IE6, according to Microsoft, but the figure is now 0.9 per cent in the US. China currently leads the rankings in use of IE6, with around a quarter of internet denizens still firing up the browser, which was first released in August 2001. Surprisingly, South Korea – one of the most wired countries in the world – still has over 7 per cent of users on IE6, with India not far behind at 5.4 per cent. The Norwegians are ahead of the curve, with just 0.2 per cent of internet users holding on to the old browser – in May 2010 it became the first country to break the sub-one per cent figure. Its Nordic neighbors in Finland, Denmark, and Sweden followed shortly afterwards. In the UK, the figure is 1.4 per cent.